So here I am now as Mrs. Ndichu! It is amazing because I have only ever been called Ms. Mbugua for decades, but I like how my new title feels. It is like a clean slate, a new identity but I am still very much Janet. I have never been a fan of wedding talk or all the fuss and pomp that comes with it. But I had my wedding (with the same pomp and I colour I had often found over-the-top! ), loved my wedding and learned a lot from it. 1. Budget – Have a budget and try as much as possible to stick within its bracket. Point to note: if your budget supersedes what you or your partner earn in a year, you're not being very smart about cost. Think of your life BEYOND the wedding day. There'll be tones of expenses to deal with, so don't go broke planning a wedding, in a way that will make you struggle to get by for the rest of the year. 2. Wedding Planner – Choose your Planner wisely! A Wedding Planner coordinates all the different aspects of the Wedding with the help of a Committee. A disorganized Wedding Planner can easily ruin your Wedding Day. Take time to ask your Networks for likely Candidates and interview each one to ensure that they meet with your expectations. 3. Pregnant and Planning a Wedding – If pregnant and planning a wedding, be sure to have a great team around you in case you're too fatigued to carry out some of the planning yourself. The one thing that I feel a bit bad about is that I was sick throughout most of the planning for my wedding day, I let a lot of things slip because I just didn't have the energy to attend key meetings or run around to ensure certain things where running smoothly (thus the importance of getting a great Wedding Planner!). Alternatively, wait until you've had the baby, settle down a bit and then plan the wedding. Do what works for you! 4. Committee? Yes? No? Maybe? – Decide early on if you want a Committee or not. Some people prefer to just go with a Wedding Planner, which is fine, but a Committee can also help you keep check of what's happening on the ground on the day, particularly if you have a large wedding. We had a great Committee and are still so grateful to them for helping us make our Wedding day a success! 5. Bridal Wear – There are quite a few local Designers who are making Wedding Gowns. We went with local designers (in Kenya and abroad) for our Gown as well as our Bridal Party wear. On the up side, if you choose a local Designer you can constantly make changes and keep check of how the outfits are progressing and you also end up empowering our Creative Industry. You can however go with a Gown and Suit from aboard and make the changes at home. Either way, do what makes sense for you. 6. Destination or Not – Choose early on if you want to have a destination wedding or one where you live. I always knew I'd have a destination wedding, as did my husband. There are pluses and minuses to this. On the plus side, you get to choose a scenic venue that sums up your dream destination. But that depends on whether or not you'll be inviting many people. Remember that a destination wedding can also be expensive, especially if you're inviting many people. 7. Handling Family Drama – Now it goes without saying that most weddings have a lot of drama going on behind the scenes. Think about it; two families are coming together, with their different value systems, views on life, levels of exposure. This can get heated. Bottom line is, from very early on, learn what each side of the family is willing to bring to the table. While it's tradition that the Groom's side should foot the entire bill, times have changed. It's ok for the Bride's side to chip in. But this SHOULD be agreed upon early on so as to manage expectations. If from very early on you can see that certain family members are not particularly keen on helping out financially on the day, then decide whether you'd rather keep it intimate so as to manage finances, or find financing from somewhere else. But this is VERY crucial. 8. Grooming and Vendors – Be sure to have done hair and make up trials early on to decide who you'd want to work with on the day. Be fussy and specific. It's your day so don't compromise or listen to people trying to tell you how you should look. Regarding vendors, agree early on on the rates and agree on when you'll clear their payments. It's not fun to have your honeymoon interrupted with people asking when you'll clear their balance. You tell them to give you a week or two, even more, to reconcile the payments. Alternatively, you can organize your finances and pay them immediately after the wedding. To all vendors; the well being and peaceful state of mind of the Couple is very important and the day is about them. If they've wronged you or made you unhappy for one reason or the other, wait until AFTER the wedding to talk to them about it. Do NOT settle scores with the Couple before their wedding. It can throw them off. 9. Pray – A friend of ours gave us this advice; as a Couple, the day before your wedding, hold hands and pray with each other and for each other. Reassure each other and ease each other's anxiety. It made a world of a difference for us. We were really relaxed and on the same page on our wedding day and I know that prayer gave us that perspective. 10. No matter what, smile. Be happy. Those pictures and memories are for life so don't let the fact that your decor wasn't the sky blue you had in mind or that the center pieces you ordered didn't come out as you'd wanted, affect your day. Yes, these are terribly unfortunate situations, given that you may have spent so much time planning and putting your vision together. But that morning, make a decision to be happy no matter what. That's truly what got me through my day. The Staff of Chaka Ranch led by Reuben Kagai for providing wonderful and timely service during the Pre-Wedding planning and Wedding Day. Pastor David Kabibi of Nairobi Chapel for officiating over our Wedding Ceremony in such a lively and honest manner. Loky Zee for Design, Tailoring of the Groom's Grey Whistle Handmade Tuxedo. Leo's Salon, Barber and Spa headed by Leonard Kimiti Ngugi for providing Hair Styling Services for the Bride and Bridesmaids. Leo's Salon, Barber and Spa, Garden City Mall, Along Thika Road, Exit 7. Mudi's Cakes and Pastries located First Floor, Adams Arcade, Nairobi for preparing the delicious Wedding Cake and Cupcakes. I’m almost tearing. The gown, the spectacular setting, the maids and everything else is breathtaking. I must say your journey got me thinking deeply. If it doesn’t work with your budget then it simply doesn’t work for you. wedding is more like a pass to your marriage. I’m impressed Mrs. Ndichu! An awesome piece it is. I love this blog! And I j’adore that dress and everything else! OMG! I’m in love! ?? BSsRK9 Really enjoyed this blog post.Thanks Again. Fantastic. Sometimes, the most effective posts are not the most popular, but that is great within my book. Wow !! 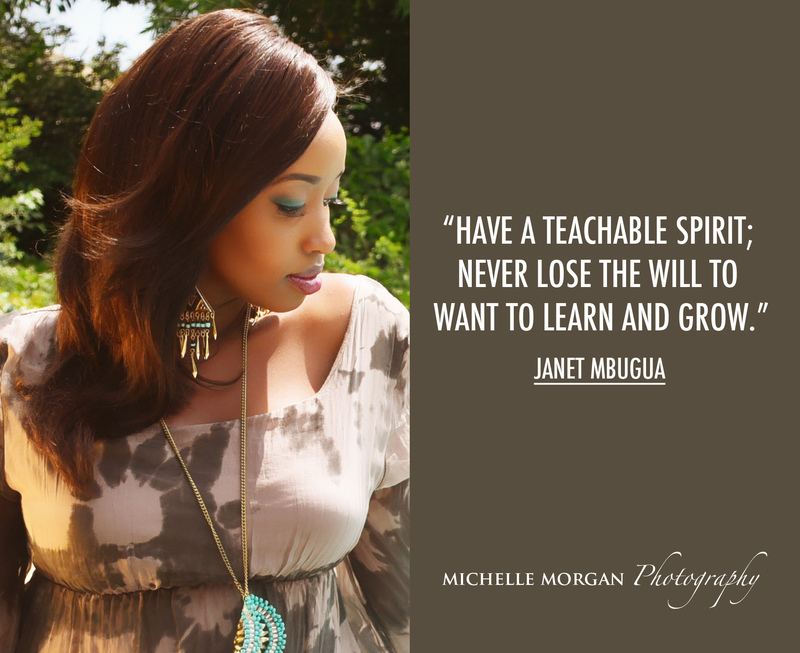 Janet you are an Inspiration , Point no 9 Wins it….9. Pray – A friend of ours gave us this advice; as a Couple, the day before your wedding, hold hands and pray with each other and for each other. Reassure each other and ease each other’s anxiety. It made a world of a difference for us. We were really relaxed and on the same page on our wedding day and I know that prayer gave us that perspective. I loved your choice of the wedding gown..you looked amazing in it! I loved your choice if wedding gown..you looked amazing in it! Your simplicity never fails to accentuate both your inner and outer beauty Mrs . Ndichu. All the best in your journey of life as you keep inspiring us to walk in your footsteps. Your simplicity never fails to accentuate both your inner and outer beauty Mr. Ndichu. All the best in your journey of life as you keep inspiring us to walk in your footsteps. Hi Janet you are my role model and i really appreciate whatever you are sharing with us.You are the best, may God bless your union and happy more days to come.I love you. Asante Emily! God bless ? Thank you Ciru! I'm humbled by your words and wish you all the best on your journey! Amazing read. I’ve always muttered this to my God…. “Give me a calm heart in the world’s wild roar.. A heart like an ocean flows towards a peaceful shore…” All the best in your new life Mrs. Ndichu. Thank you! Hope you've subscibed too ? You are so amazing… and you are gonna be an amazing mommy to an amazing child with an amazing Daddy…May God bless you and your family. Aww God bless you for that! Thanks Jennipha! Kayte Macharia is a talented make up artist. Check her out on Instagram on @kaytemacharia ? Cheers Maria Ann and God bless you too! Prayer always comes first! I just wrote it out in that order. Thanks for your feedback! Great wedding it was,You looked very beautiful!.Thanks for sharing about the journey with us who desire to get maried one day. Thank you Marie! Your time will come when it’s right, don’t feel any pressure at all. All the best! Thank you! Hmmm, maybe someday I will ? You truly are an amazing inspiration may the Lord God hold you through the journey of parenthood. May He give you the wisdom and knowledge that you way need to walk through this journey. And to you too! Thank you so much for that! Wow Janet you are truly an inspiration…..am learning alot.Wish you God's blessings in your marriage. I appreciate your feedback Carol, keep reading my posts! Thank you Janet for sharing your story. You are always an inspiration. I'm so happy to hear that Rose! It's true, wedding talk can be full of too much hype and too many expectations. Just stay calm and always be realistic. I wish you well on your big day! All in good time Winnie, don't rush it! You'll be all good ? Thanks for the advise Janet cnt wait to have my wedding ? ?? Thanks Janet for the advise can’t wait to have my wedding ? as well ? Glad to hear it dear! Now look how far you and your hubby have come ? Anytime dear Thank you for reading! Wow! This just perfect, am taking notes since i plan to wed April next year. ☺️ Thank you for sharing my advice with others! Hongera Jane! Thank for so simply and clearly sharing your journey. Those are really helpful tips for those soon getting married. Thanks dear! All the best to you too ? Hey Everlyn, we welcome you to the club with open arms! All the best in your journey! Hi Janet thankyou soo much Mami!you have a kind heart God bless you! Thank you very much Janet for sharing your journey with me. Am inspired, I can’t stop reading it. Am also planing to do my wedding on December, have learned lot. I love everything about you janet. Keep empowering you girls and God will bless you abundantly. My role model forever. Hi dear, congratulations on planning your wedding! I hope you’ll find my tips useful. I wish you a blessed day! What in this earth is a center piece? Good advice but I think I will not do a wedding now. Lol! Google it ? Thanks for reading my blog! Very beautiful photos..and your dress..woop!woop!Too gorgeous..! Congrats on both of You Janet U Inspired Many People … God Bless You .. Happy for you Janet.May God bless u and hubby. Mengi yamesemwa kukuhusu, mabaya na mazuri, lakini baada ya yote, umesimama imara. Endelea na moyo huo huo. Natumai siku moja tutazungumziana uso kwa uso, barikiwa kwenye ndoa dada. Asante sana Mueni ? ubarikiwe. Wow! You have really inspired me.Thank you Mrs. Ndichu. Thanks dear, blessings to you too! Congrats Mr. and Mrs Ndichu may good Lord bless your marriage n thanks dear for inspiring me with your wonderful journey. Amazing!! and simply beautiful. Emmanuel did an amazing job!! congrats Janet. Thank you! Yes Emmanuel is very gifted! Congratulations Mrs. Ndichu. I look forward to this incredible journey. Thank you for sharing such important part of your life, future brides and grooms there you go! And thank you for reading my posts! Congrats on both your Pregnancy and your wedding. So gad that I finally get to know the other side of you through your blog..
congrats janet,wish u a happy life,am your biggest fun..
Glad the advice has helped! Thank you! I am happy for you Janet!and l welcome you warmly in the journey and life of marriage!